WWE wasn’t the only promotion to offer a “Winner Take All” stipulation to one of their matches this past weekend. Ring Of Honor (ROH) also implemented the condition into their tag team championship title matchup. This decision would see both the ROH and New Japan Pro Wrestling’s IWGP tag team championships up for grabs, with only one team walking away with all the gold. That team would be Tama Tonga and Tonga Loa, the Guerrillas of Destiny. Their victory would be cut short, however, as both Enzo and Big Cass would “invade” the G1 Supercard show. The duo jumped the barricade and brawled with The Briscoe Brothers, the cameras refusing to show the action. Bully Ray would eventually come out from the back and insert himself into the fray. 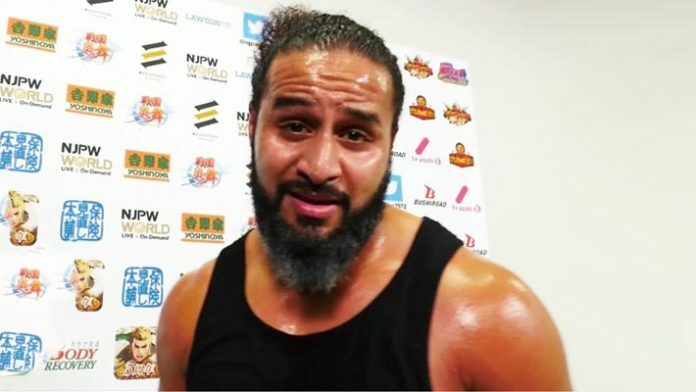 This invasion initially confused a lot of fans—but there was one individual who was simply unimpressed: Tama Tonga. The broadcast refused to show the brawl taking place. Additionally, neither Enzo nor Big Cass were mentioned by name. Despite this angle, it’s worth noting that, at least according to Wrestling Observer Radio, the former WWE Superstars have yet to officially sign with ROH.